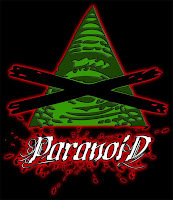 TMD proudly presents: Paranoid... one half of "The Civilian's Military" and co-host of the weekly anti-NWO radio show "Ghosts Of The Republic"! "My name is Paranoid. I fear not death, nor torture, nor imprisonment. I am a Sovereign King on the land, and as such, I will never bow to any supposed authority. Be they politician, king, queen, police, judge, or the POPE in ROME. I have only one master, that being my creator, the author of my existence, my only true authority. I am the spirit of freedom, a ghost of the republic. My Music Speaks For Who I Am."